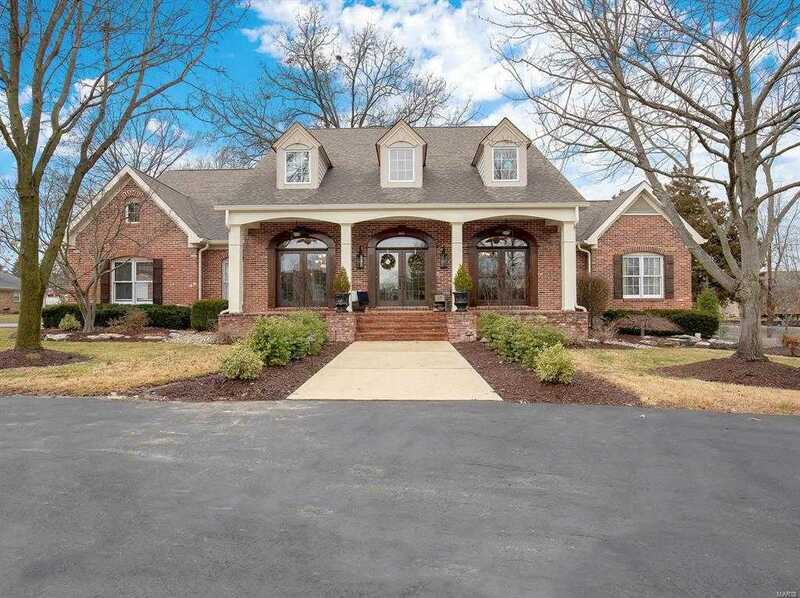 Timeless and Private, this beauty is a rare find in the Heart of South County. Tucked away on a .78 acre lot, this luxury estate offers the best of both worlds – PRIVACY, yet quick access to shops, schools, restaurants, parks, I-55, and I-270! Filled with character and modern amenities, this Cape Cod Style Home features soaring ceilings, loft area, reading nooks, and so much more! The large kitchen boasts high end appliances and granite counter tops! You’ll love the spacious, open floor plan, as well as the many entertaining areas found inside and out! You’ll be impressed with the hand-scraped Hickory flooring and the High End Finishes throughout this gorgeous, Luxury Home. This fabulous home is an opportunity you can’t afford to miss!